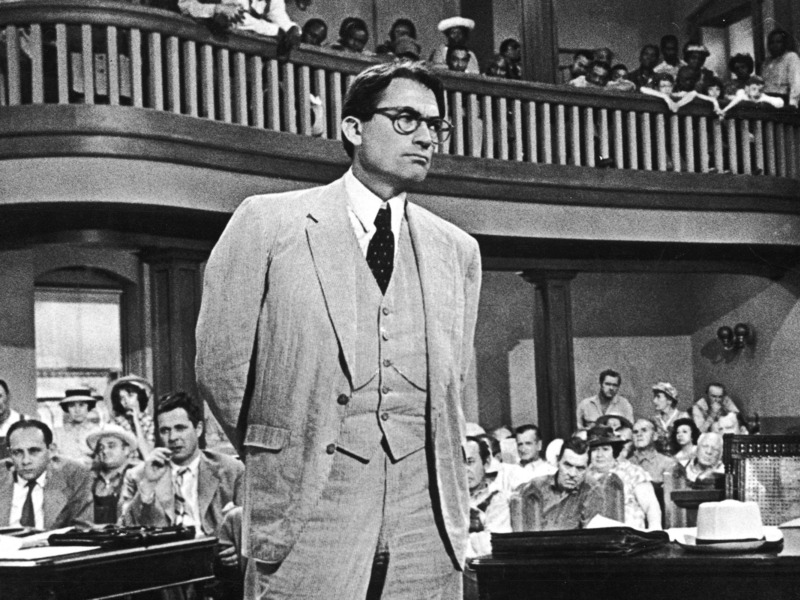 Universal International PicturesGregory Peck’s turn as Atticus Finch in ‘To Kill a Mockingbird’ is widely considered one of the greatest heroes in American film. In real life, many lawyers don’t ever argue cases in court. As any lawyer who’s had to listen to “lawyer jokes” can tell you, the legal profession has a bit of a bad rap. However, we tend to only see stories about lawyers who litigate cases. In fiction, we rarely encounter a tax lawyer or solicitors who draft wills and trusts. In real life, many lawyers don't ever argue cases in court. And even those attorneys who do work on disputes spend most of their days in the office, reading and and writing. Sometimes, courtroom dramas play fast and loose with actual courtroom procedure. Lawyer and crisis communicator Jamie Wright singles out 'The Devil's Advocate' as one particularly egregious example. 'I love Keanu Reeves, but the depiction of him cross-examining the child on the witness stand accusing the teacher of molestation was nonsensical,' she told Business Insider via email. She says that it's easy to botch the portrayal of a cross examination. If your only exposure to lawyers was through popular fiction, you'd be forgiven for thinking all lawyers are naturally bold and ready to argue at all times. Dayal says that, while some attorneys are 'performers at heart,' there's a diversity of personality types amongst lawyers (as there are in any profession). That being said, she agrees that many lawyers aren't good at backing down in an argument. 'You really don't want to get in a debate with a lawyer,' Dayal says. In reality, law school costs a ton of money and doesn't necessarily guarantee you a job in the field. Wright agrees that this is her 'biggest pet peeve' about how lawyers are portrayed on TV and in film. There tend to be a lot of oddball characters in the legal profession (on television, at least). The online encyclopedia TV Tropes and Idioms even has an entry called the 'Bunny Ears Lawyer,' which refers to a quirky character who's adept at their job. Dayal says that this trope is actually pretty true-to-life. One of the reasons that lawyers appear so much in media is that their jobs are compelling -- and tough. Dayal also says that any depiction of lawyers that highlights the hard work, long hours, and stress that come with the occupation has it spot on.